The Mister Maker 8 Soft Plush Toys from Mister Maker is the Ideal gift for your chid/childern for their birthday, Christmas present or just a gift to give them. 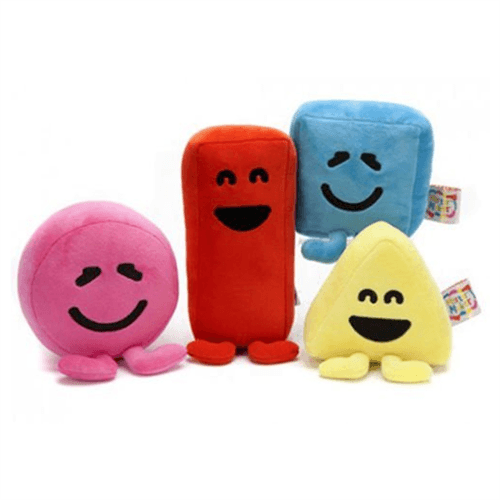 These Soft Plush toys are of the same design as the characters shown on the Childerns TV show Mister Maker, We know your son or daughter who loves Mister Maker will love these soft plush toys. Available in sets of all four or individualy as Red Rectangle, Yellow Triangle, Blue Square and Pink Circle. These Soft Plush toys are suitable for ages 3+.